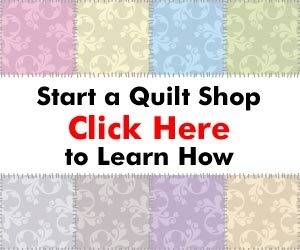 Due to email filters and a number of other technical glitches that can happen with email, I've set up this page to give you all of the lessons in the free email mini-course “7 Unique Ways to Make Money with Your Quilting” on a single web page. 7 Unique Ways to Make Money with Your Quilting. some new and exciting products or services. best information on the business of quilting. great moments of our lives. the skills needed to make a photo quilt. => Quilting supplies — fabric, machine, etc. their quilt the treasure they deserve. reason, America is in love with the t-shirt. t-shirts they’ve collected throughout their lives. “bag” the big bucks with your quilting. prints. You can apply fun beads or ribbons. interest groups always seem to get what they want. their disposable income, on a club or activity? quilt that commemorates their hobby or club? => And many, many more! over each other to commission their own quilts! specialize and dominate a small niche market. new business for the creative quilter. special baby quilt to the proud parents. But what has been missing is some extra creativity. gift. And that is entirely up to the customer. a family theme, or some trait of the new parents. easier to finish (and for you to get paid). good reception for your quilting business. master the wedding quilt — cash register bells! occasion that warrants a one-of-a-kind gift. quilting business can go to the dogs. a part of the family as their children. pet quilts to these pet fanatics. that they can become attached to certain things. I’ll wrap it up and offer some further steps. sparked some ideas of your own. with your own quilting business. information on making money with your quilting. free to contact me directly.